Well, its that time again, to give out the list of the top apps I’ve been fortunate enough to use with Bug. Consider all these that I list as tried and true apps, that I have used and are approved by Bug and that can save you as a parent when you have a squirming, impatient infant/toddler. 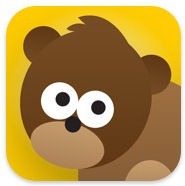 Some are new, some are from previous lists, but I consider this my top list for iPhone apps for infants for 2010. Yes, the concept is simple, buy hey, sometimes simple is better! If you need a quick distraction for your little one, Bubbles is just the ticket for you. All it is, is a simple app with animated bubbles that you pop by touching them. An easy distraction for that squirming, impatient little man or lady. This is the first of 3 apps that make this list from Night & Day Studios (and let me say, they are not a sponsor and I’ve paid for these apps, these are simply apps that Bug loves and entertained with). 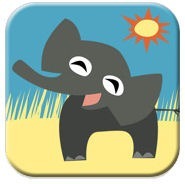 My Very First App is a fun and interactive educational app based on Eric Carle’s My Very First Books. The apps comes with 3 levels – Easy (ages 1-3), Medium (ages 2-5), and Hard (ages 3-6) along with offering additional levels and options through in app purchases, giving this app long term value as your little one grows. Kiboomu Publishing also makes more then one appearance on this list as both apps have proven themselves, and just like with their first one, Twinkle Twinkle Little Star Preschool Storybook Piano, Kiboomu has taken a favorite and classic children’s song, and put a fresh, entertaining, and equally educational spin on it. Old MacDonald comes with the four modes that users of Twinkle Twinkle have become familiar with; Play Sing Along, Learn The Song, Karaoke Mode, and Freestyle Mode. What, in my opinion, sets Old MacDonald above Twinkle Twinkle are the entertaining images that accompany the song as it plays, along with, what we’ll call the “commentary” from the farmer himself. This is the app that started it all and made me realize how important an entertaining and educational app could be to have! The second appearance on this list by Night & Day Studios offers fun, education and entertainment, an equation they seem to have mastered. 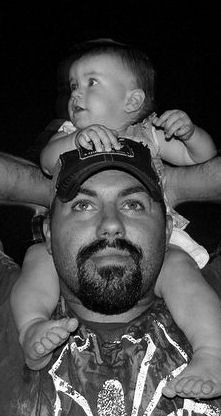 And once you’ve gone through all the animals with your child, how can you not smile when you hear the little girl say “wooooster”. 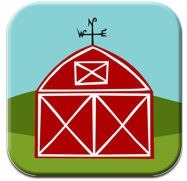 The first successful app to calm my daughter was the wonderful Peekaboo Barn. Both Barn and the sequel app Peekaboo Wild offer a entertaining, colorful experience that can be completely controlled by your child. Unlike similar apps that offer animal names and sounds, what Barn and Wild offer is a simplified interface that opens a wild world of fun for your child. One touch of the screen will reveal the hidden animal, allowing your child to hear the sound the animal makes, then says its name. A second touch takes that animal away, and resets to play peek-a-boo with the next animal. The simplified navigation and function makes this an easy app to just load and hand over while driving, because once they figure it out, they love playing with it themselves. The app, in concept is simple, but in practice outshines all others. Splish Splash Inn is self paced, as your child can select when and which door he/she wants to click next, only to enter the selected room and watch as they count a set number of a specific sea animal, not only helping with counting skills, but also throwing in a little marine biology in the mix (those sneaky Shortstack folks!) I sometimes have to help Bug use this one, as its difficult for her to sometimes get back to the door selection screen, but its fun to listen to her trying to count with the narration, and enjoys touching the animals and seeing what noises each of them make. If you haven’t checked this one out, this is a must have for your infant or toddler. Designed by parents in coordination with preschool teachers, Toddler Counting helps teach basic counting skills, and even makes it fun for your toddler. The basis is somewhat a combination of a few apps already on this list. You are given a random number of animals on a screen, like “3 Bears” and the app counts, as you touch each bear. A very simple app, that Bug has really started to enjoy as she’s learning to count, and keeps her attention as much as any other. This is another one of those apps that has proven the test of time and that my daughter loves! Its another one of those apps that you can just go to and let them loose with, letting them play the piano as the song plays, or mix and match. The app comes with four separate modes play; Play Sing Along, Learn The Song, Karaoke Mode, and Freestyle Mode. Each mode offers its own method to allow kids to learn this great classic song, giving this app the unique gift of having a renewing interest, even with kids that get bored quickly, allowing for separate methods of integration. If you’re looking for a unique and beautiful storybook app, Ruckus Media Group is the place to go! Ruckus Media Group has began to feature some classic children’s books, that are absolutely gorgeous, some of the most beautiful apps I’ve ever seen, and up the aunty even more by having their storybook apps read by notable, actors, and accompanied by well-known musicians. The app gives you the two typical options, where you can read to your child, or have the app read to them, but also offers a third option, which some parents might enjoy; you’re able to record yourself reading the story, for it to be played back to your child later.